Araura College celebrated the investiture of its student representatives and student prefects last Friday in the school’s Prince Edward Hall. 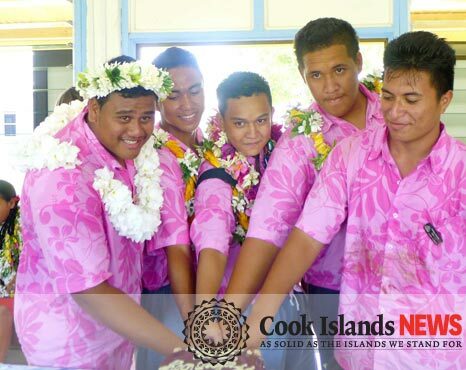 Guests included Aitutaki Member of Parliament and Minister of Education Teina Bishop, Aitutaki mayor John Baxter, deputy mayor Tekura Bishop as well as various Orometua, Ariki, PTA members, staff, students and proud parents. College Principal Tracy Spiers welcomed the guests and addressed all the students of the college not only outlining what it takes to be a leader and what responsibilities the leaders will have but also inspiring them to become future leaders. Pastor Charlie Charlie spoke about leadership and the importance of “we” not “I” when being a leader. He also blessed the badges and all of the student leaders. The Minister of Education and the Mayor and his deputy pinned the badges of the student representatives and prefects. 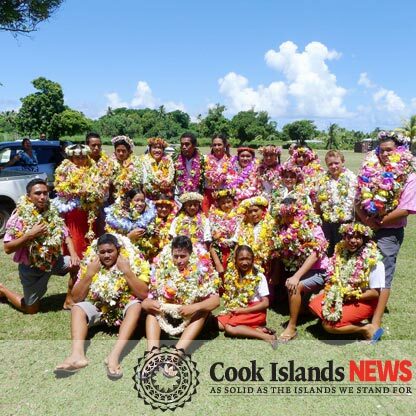 A total of 15 student representatives and 10 prefects have been entrusted with responsibilities to carry out their obligation as the new student leaders of Araura College. The Minister of Education used this opportunity to speak about the importance of working together as a team – the students, the staff and the parents all taking a part in education. Teremoana Benioni was named head girl for 2014 with the deputy head girl being Fasolo Tekatau. The Head Boy for 2014 is John Charlie with the deputy head boy being Christopher Titi. The female prefects are Tekura Imoko, Maria Marsters, Mareta Potini supported by male prefects Apera Vaasa, Apike Marsters and Hosea Teiti. The event concluded with speeches by the head boy and girl who both spoke about working together as a team and making this year the best yet for Araura College. Then the student representatives and prefects made a pledge of allegiance to the college to fulfil all their duties for 2014.